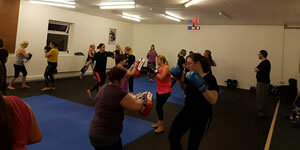 A kickboxing class for ladies only! 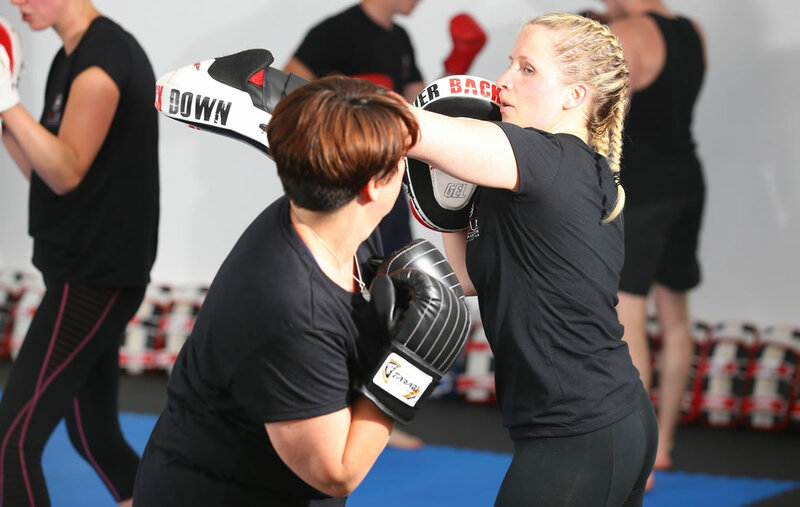 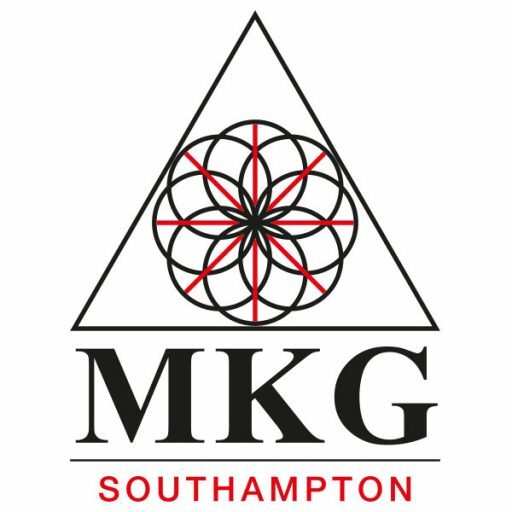 This class provides a workout for all fitness levels that combines curriculum from Thai Boxing, Jun Fan Kickboxing, Panantukan and the JKD Concepts. 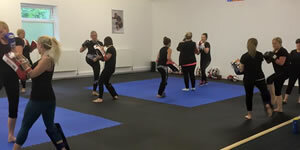 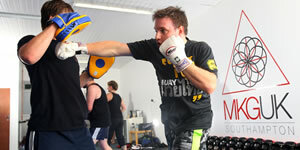 You will get in great shape while learning some effective self defense and kickboxing skills. 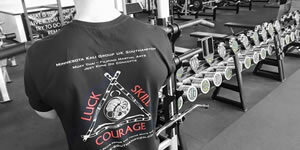 The workout is “go at your own pace” so you can work up to your maximum potential.